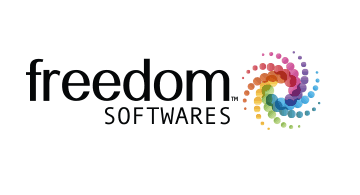 Freedom Softwares provides creative, reliable and safeguarded solutions that gives Merchant Processors and POS companies the flexibility and convenience to deliver high-impact, highly customized processing solutions for customers of all sizes. Our innovative, out-of-the-box, easy-to install software products connects virtually any POS System with many brands of processing terminals in minutes, reduces your customers hardware footprint, and enables them to do more with the systems they already have—giving you the ability to capture more of the market with a just click. Take a free test drive by visiting us at FreedomSoftwares.com.